Chaos is Costly. Find Order with Integrated Finance Analytics. The chaos typical of modern finance is exacerbated by multiple data sources, data mart proliferation, and business intelligence anarchy. An integrated finance foundation helps companies maintain a single version of the truth and ends the costly, time-consuming practice of relying on local, siloed data marts. DHL Express Continues to Find Savings and Revenue Growth With the INSIGHT Program. Teradata has everything your finance department needs to transform the inherent complexity of large-scale business operations into a profitability solution with actionable insights. Our primary goal is building a data and analytics solution for specific business needs using rapid data integration—both financial and non-financial—to improve efficiencies and reduce time-to-insights. 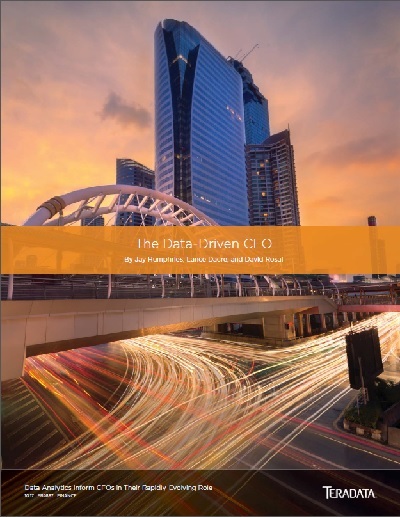 Teradata connects enterprise-wide data, analytics, and rules so CFOs have holistic visibility and actionable insights to drive business strategy, business outcomes, and reliable, hassle-free execution of reporting and compliance activities. The first, most important step we take is data consolidation across your entire organization. Consolidated data, combined with both profitability and spend analytics, improves visibility and generates faster, deeper insights. Breaking down data silos also streamlines compliance and reporting by enabling accurate, automated capabilities that replace manual, Excel-driven data gathering, and help you shape recruiting and retention policies. Hear How WW Grainger Uses Teradata Profitability Analytics to Cut Through Common CFO Challenges. Teradata data and analytics solutions streamline core accounting and reporting processes and free finance leaders to focus on advanced analytical capabilities that uncover opportunities for major cost savings and revenue gains. Stop the chaos. We'll show you how.